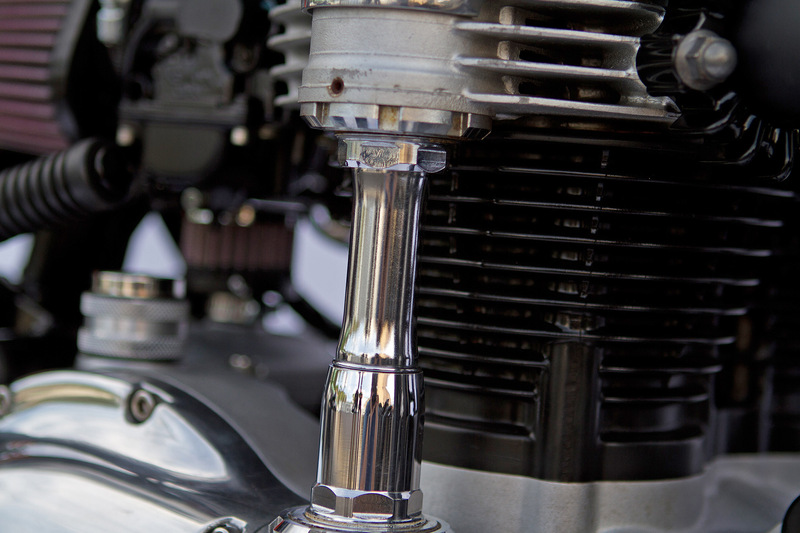 Gene Hackman took home an Academy Award for best actor in 1971 for his portrayal of a New York narcotics detective. 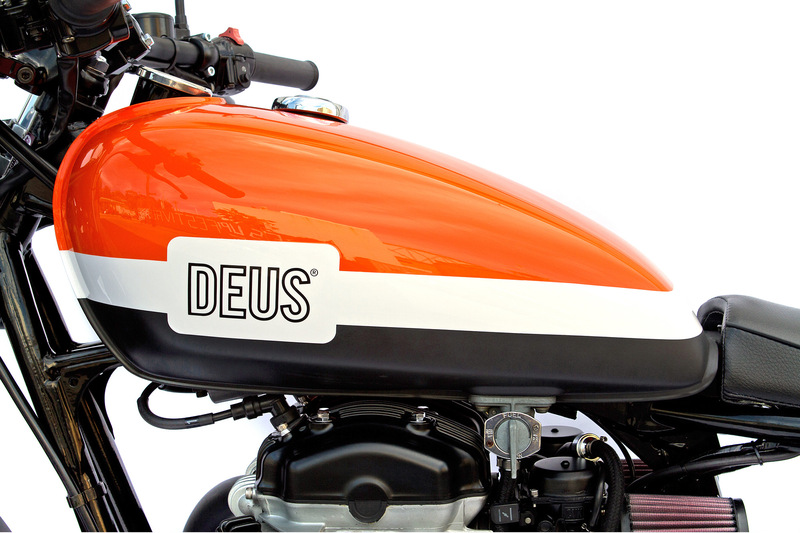 Forward to 2011 and Deus Ex Machina head tech Jeremy Tagand will take home something far better than a west coast paper weight. 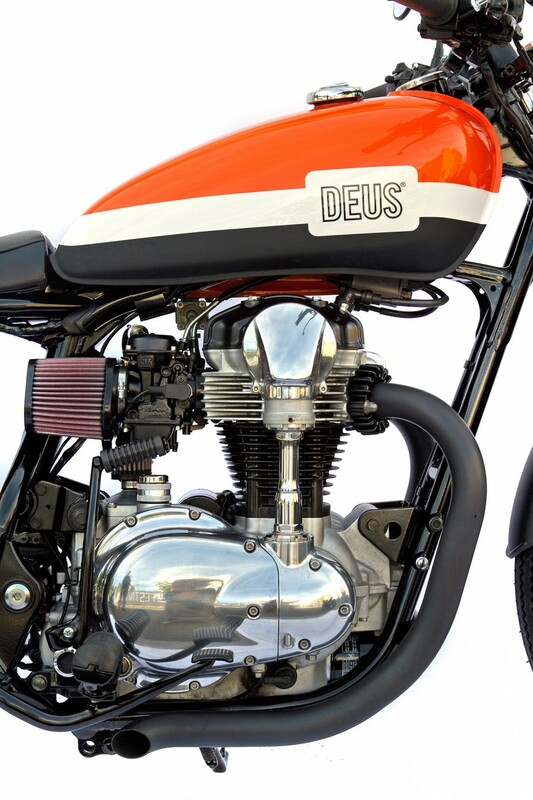 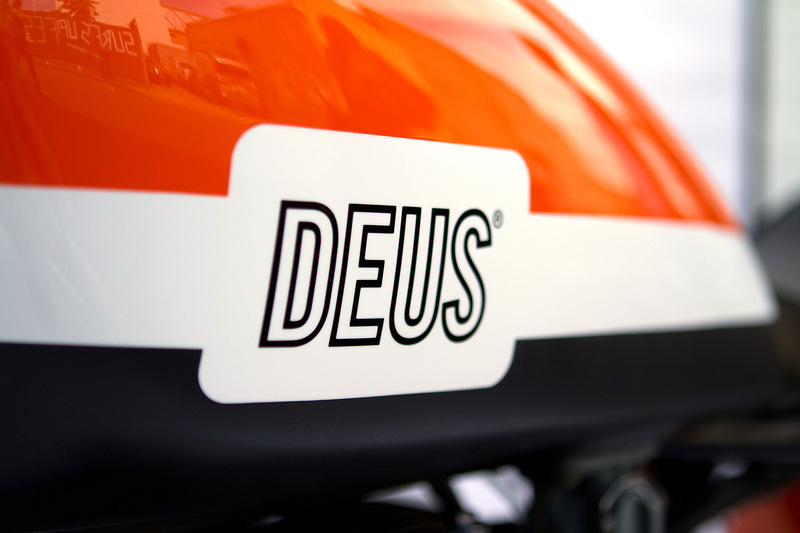 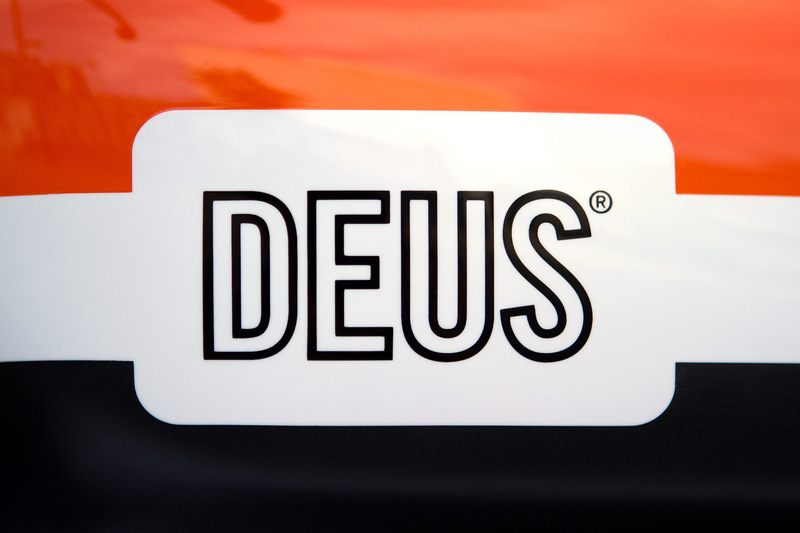 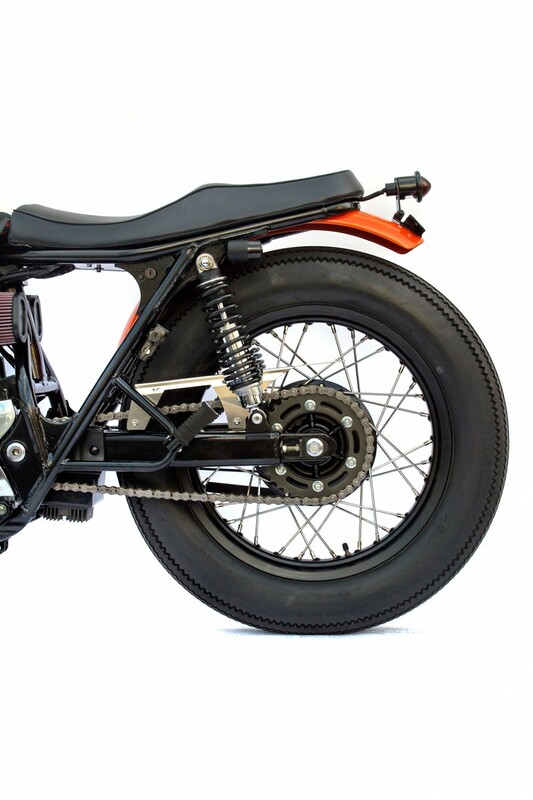 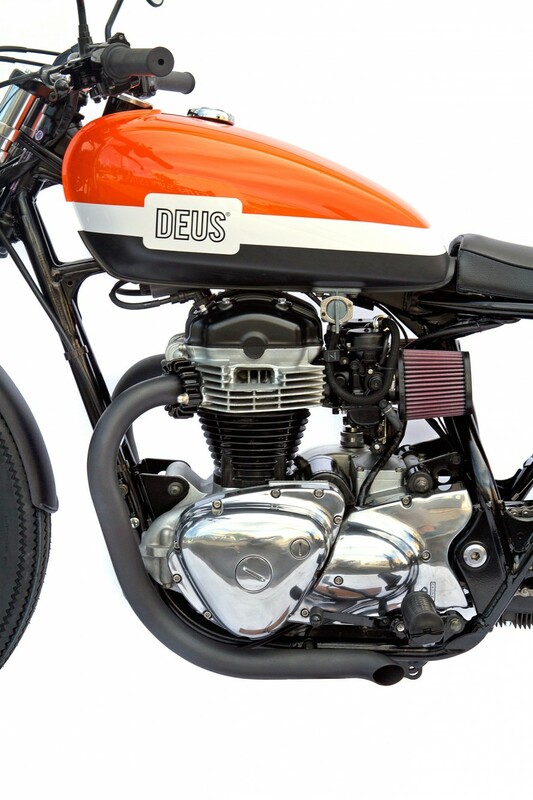 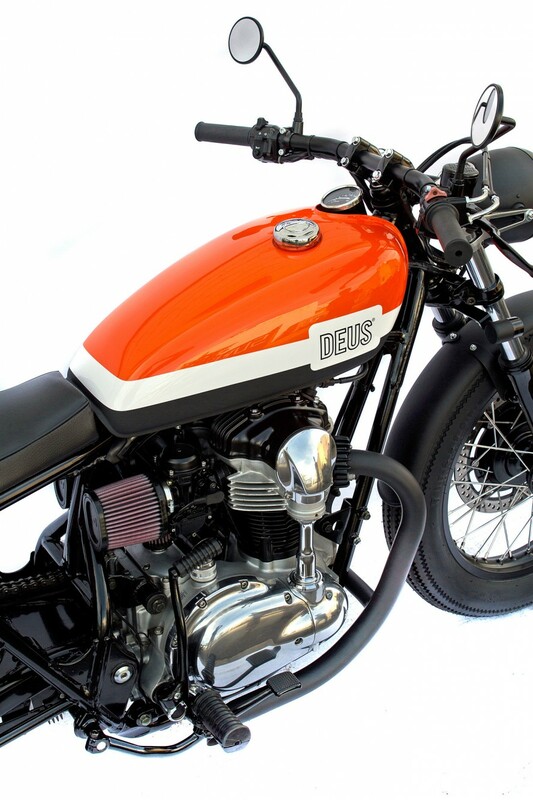 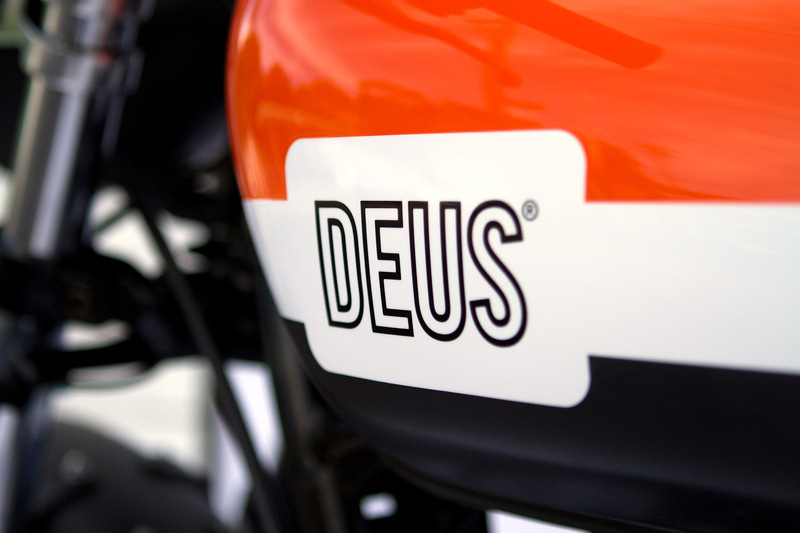 Randy De Puniet, current Moto GP1 star, commissioned our French Connection Jeremy to provide him with a Deus custom motorcycle for the streets of Sydney. 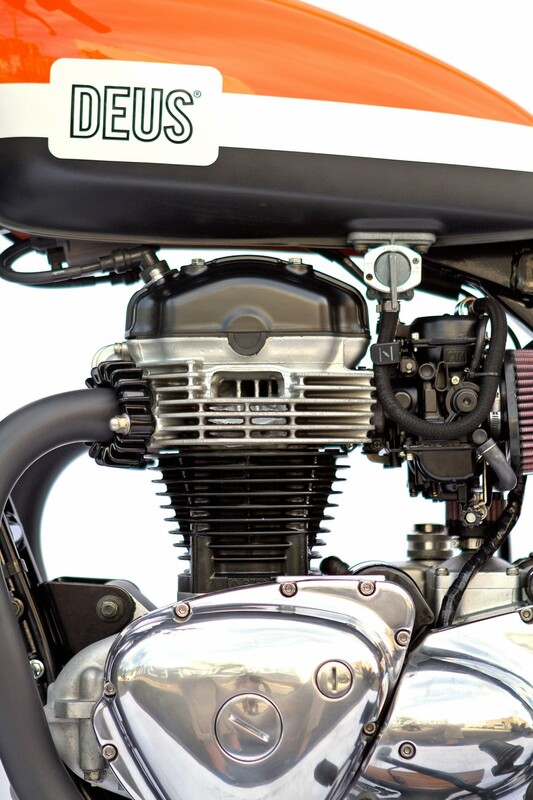 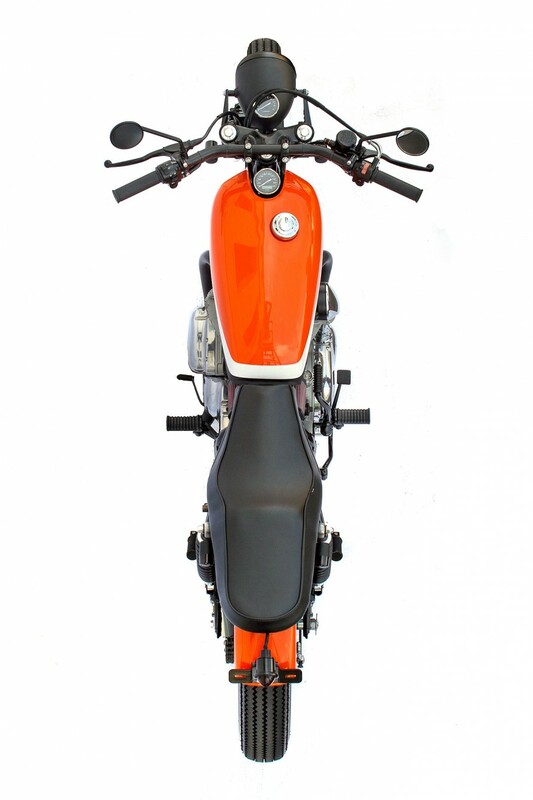 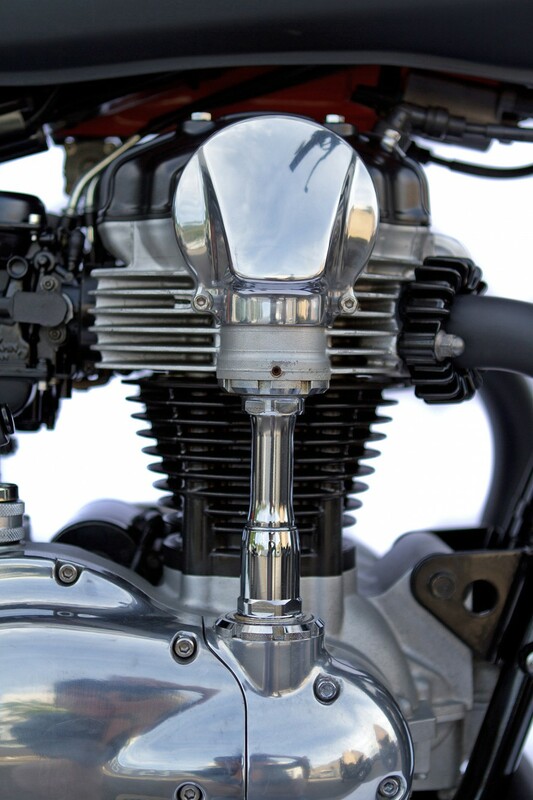 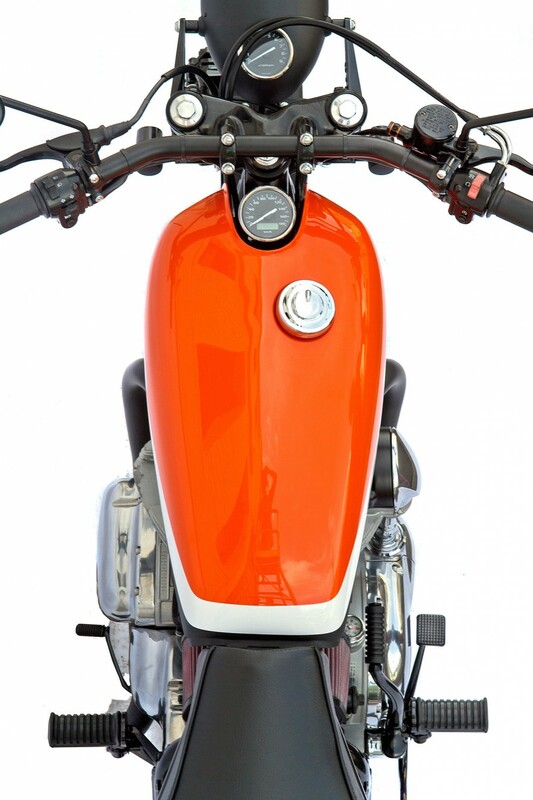 Randy’s design brief was for a middleweight, 2-up twin. 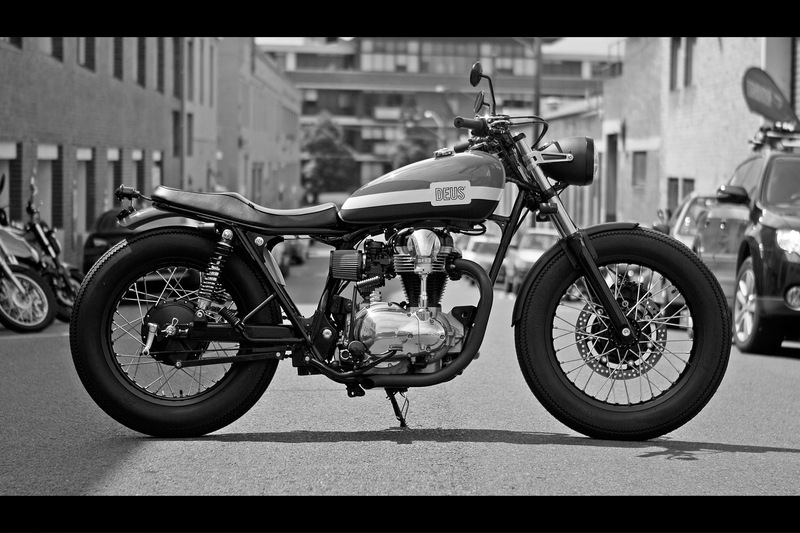 Easy enough to kick around the city and able to offer enough legs out of town. 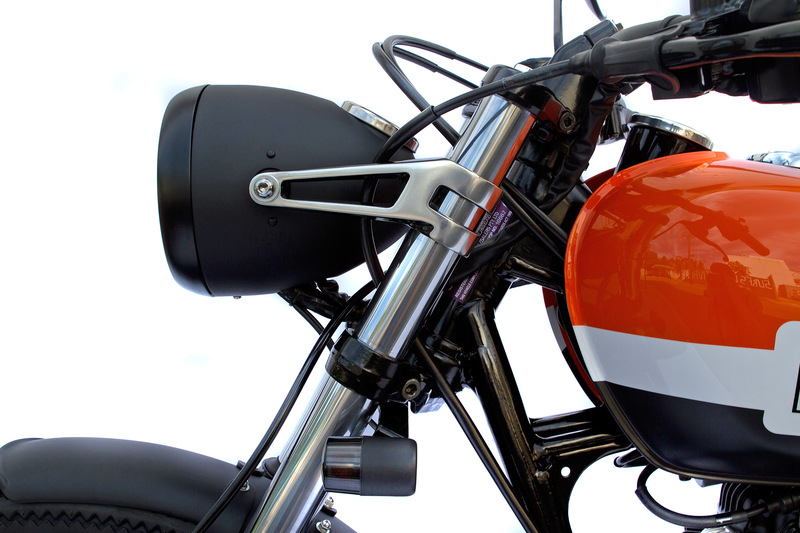 Must have: orange, black, and white for the paint. 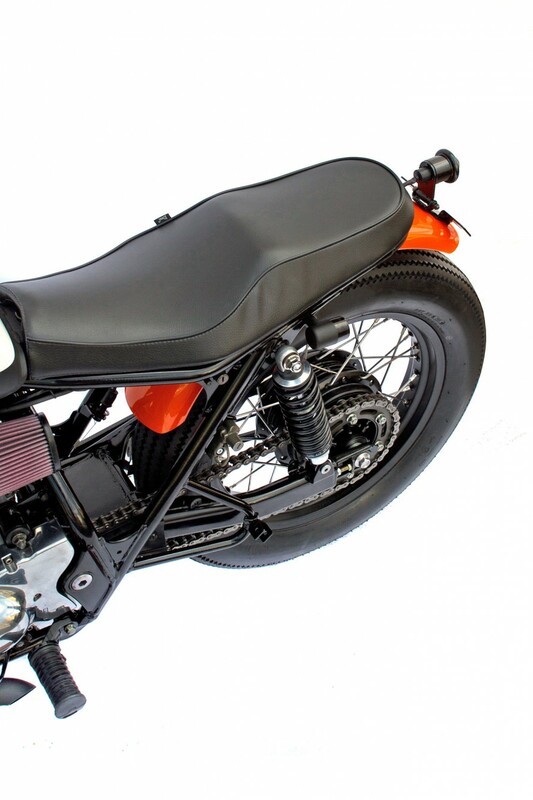 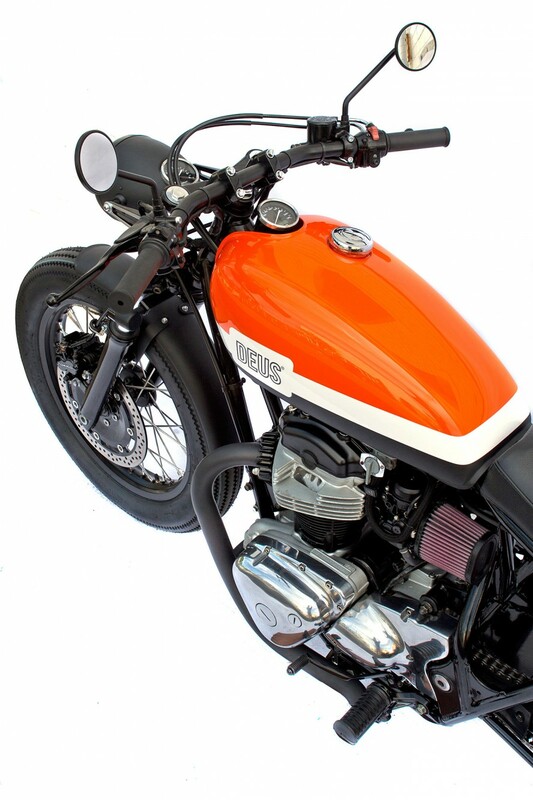 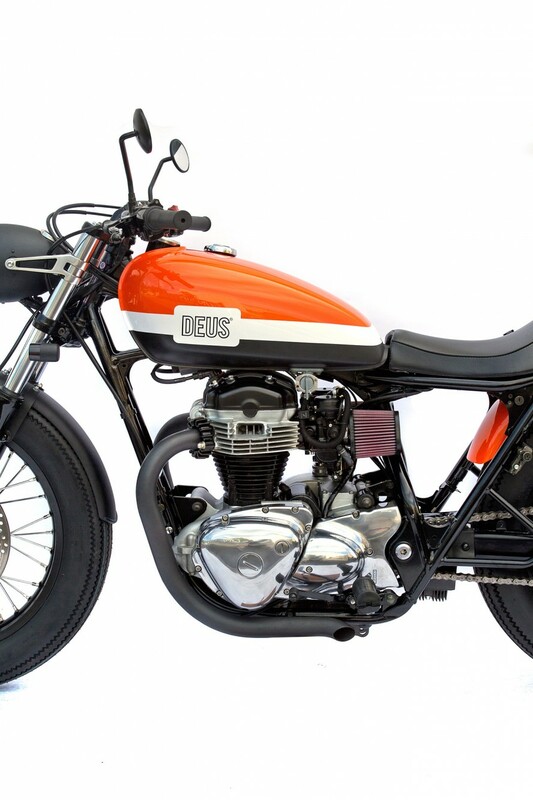 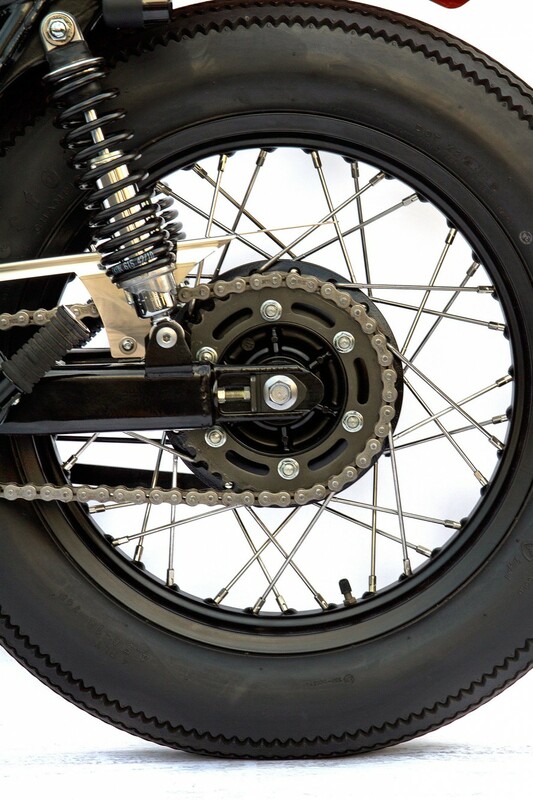 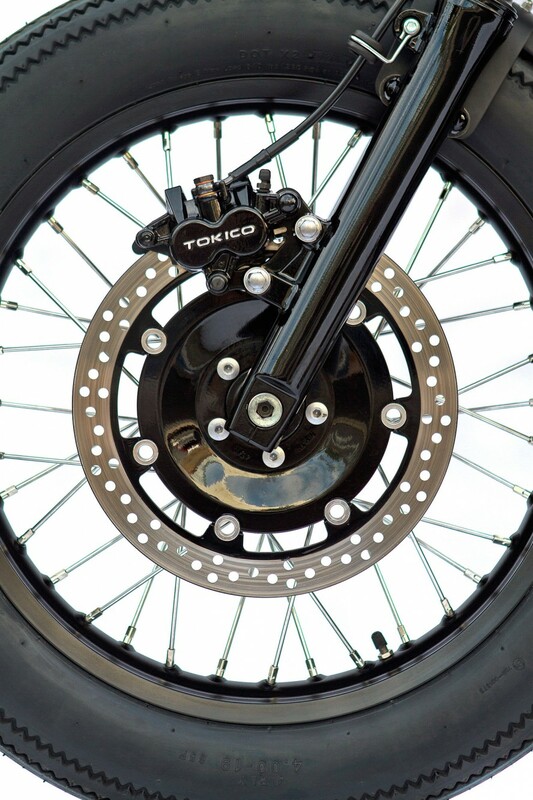 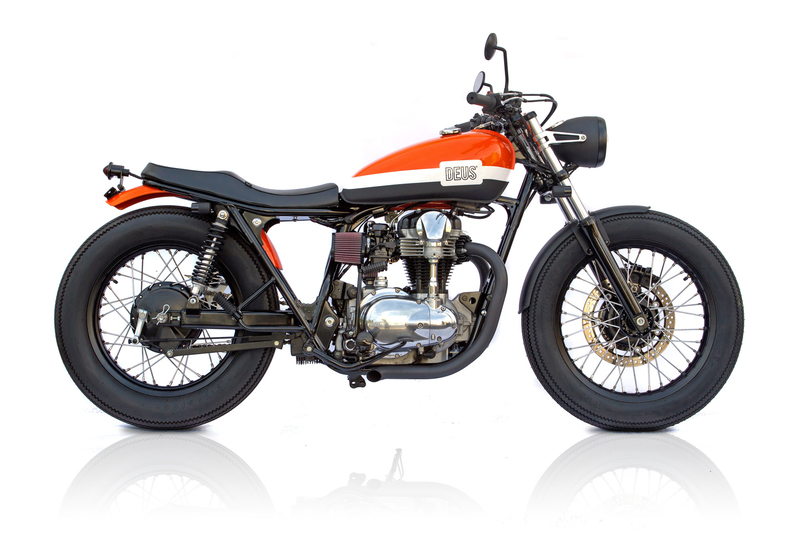 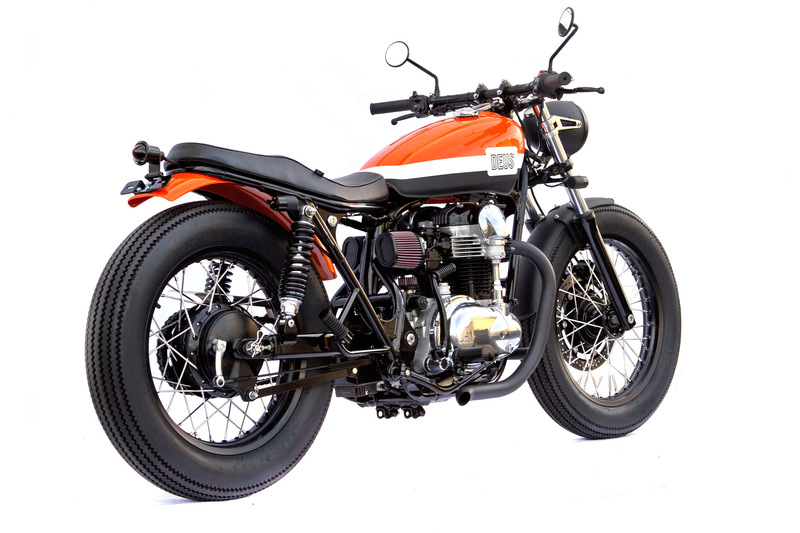 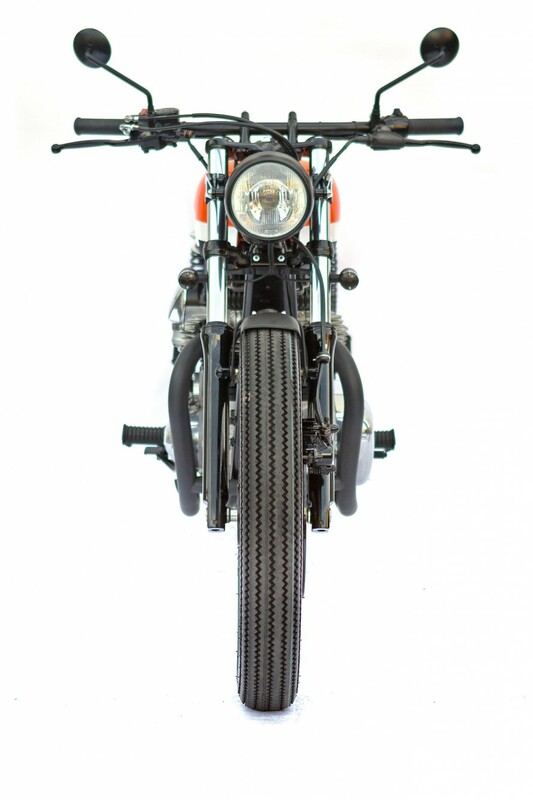 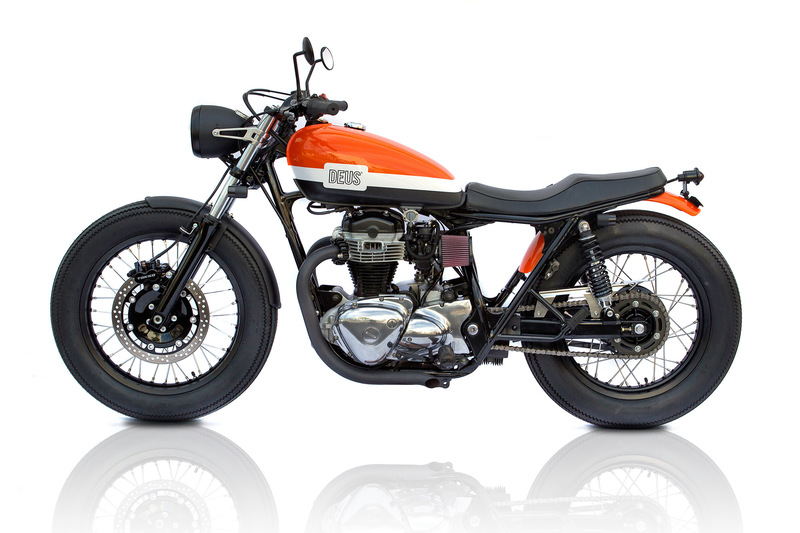 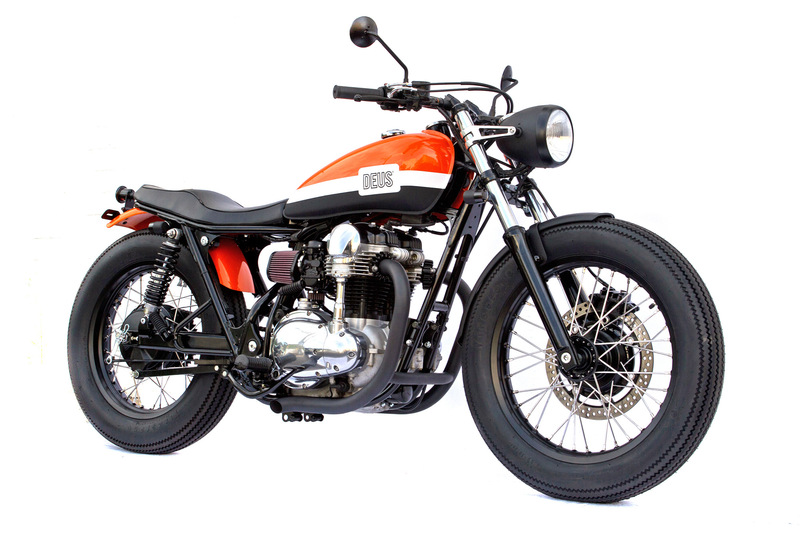 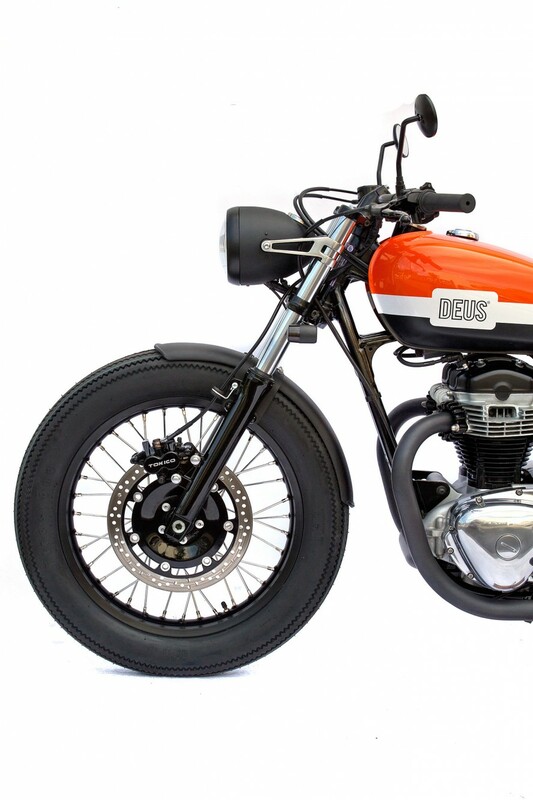 Enter the Kawasaki W650, lower the puppy at both ends, and dress the rims and hubs in a satin film of black. 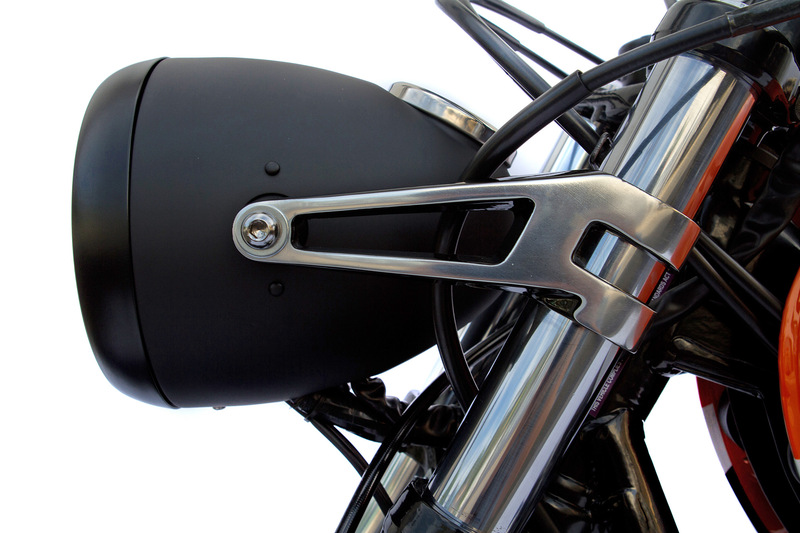 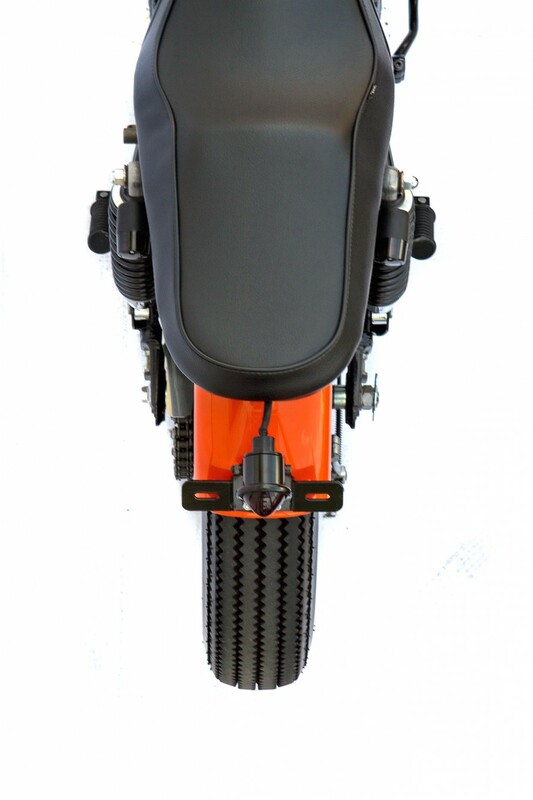 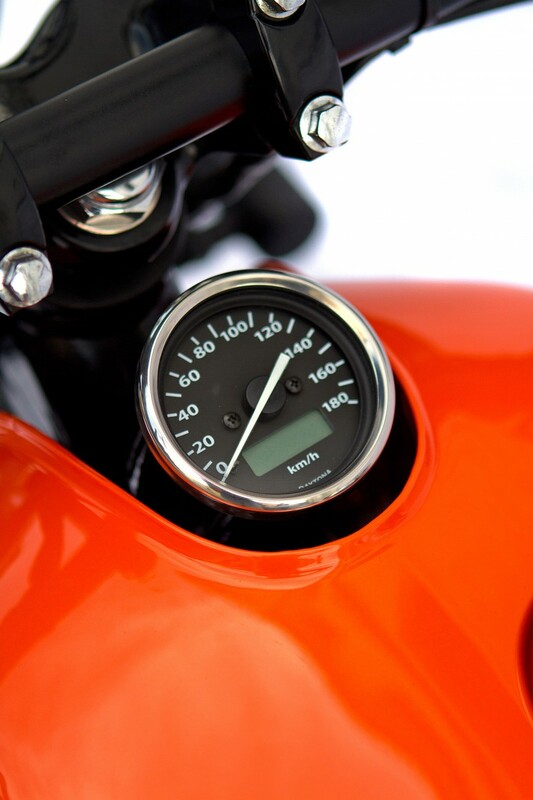 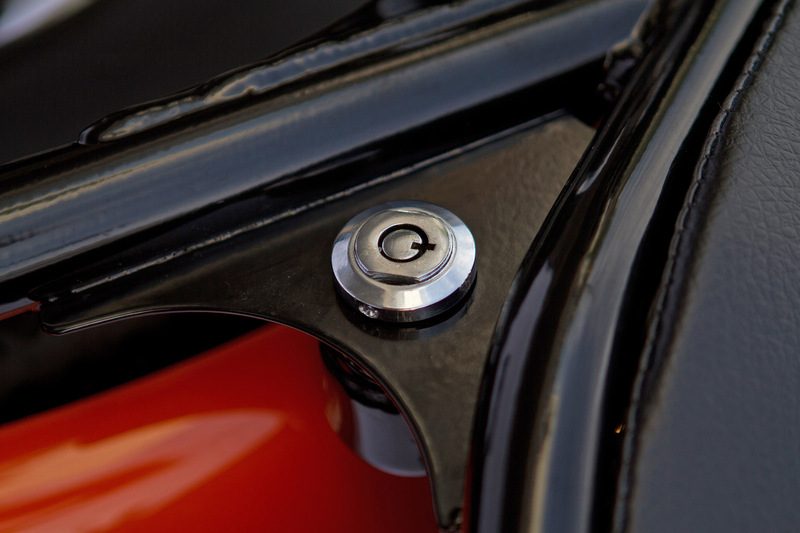 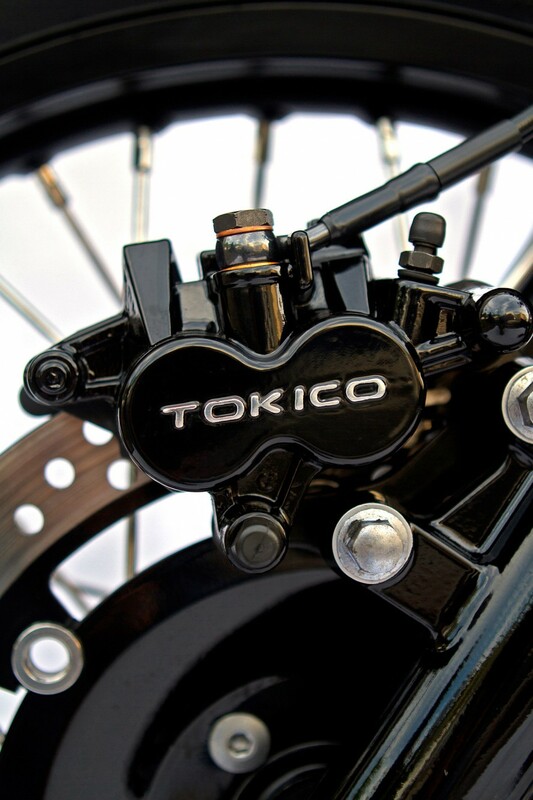 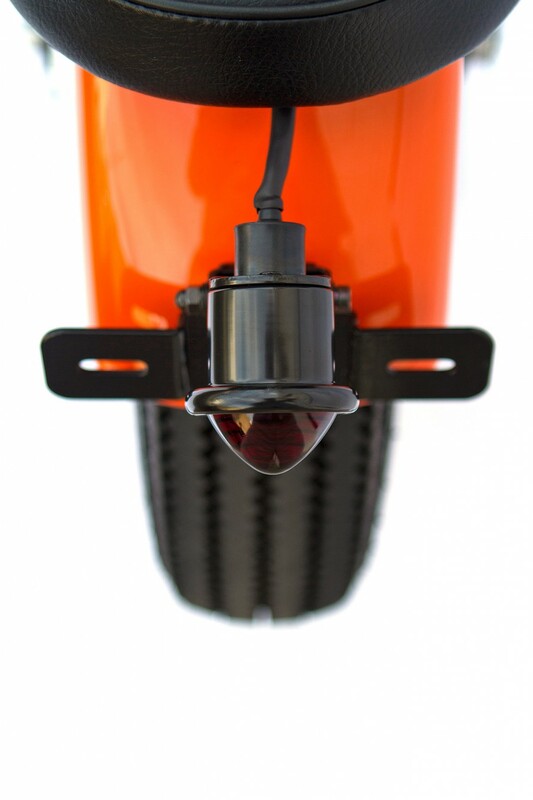 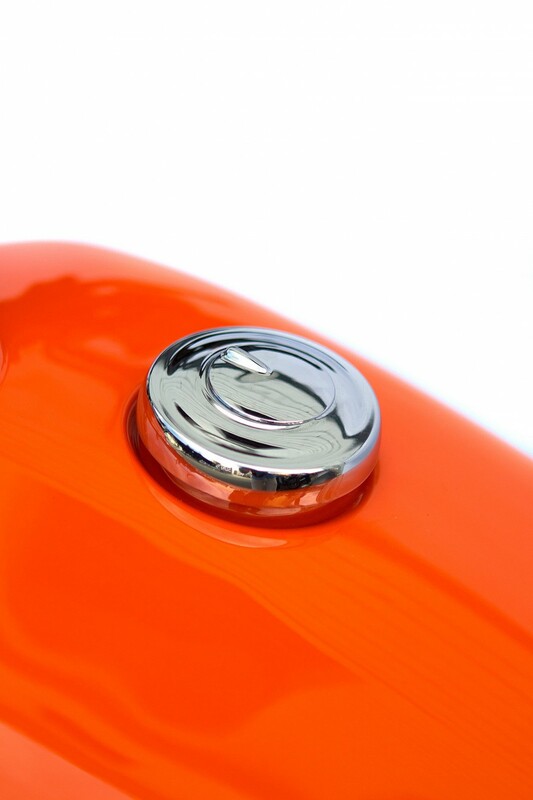 Custom fitment of an SR500 tank with speedometer nestled centre-front. 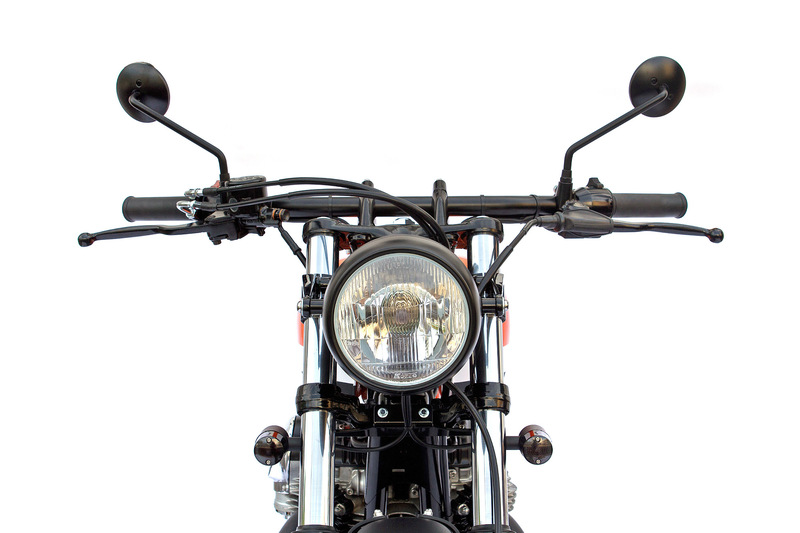 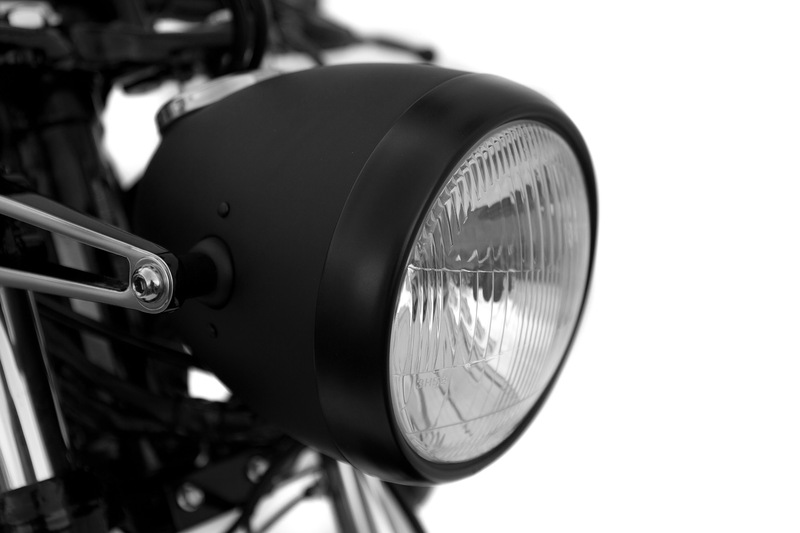 A vintage style headlight supports the tachometer. 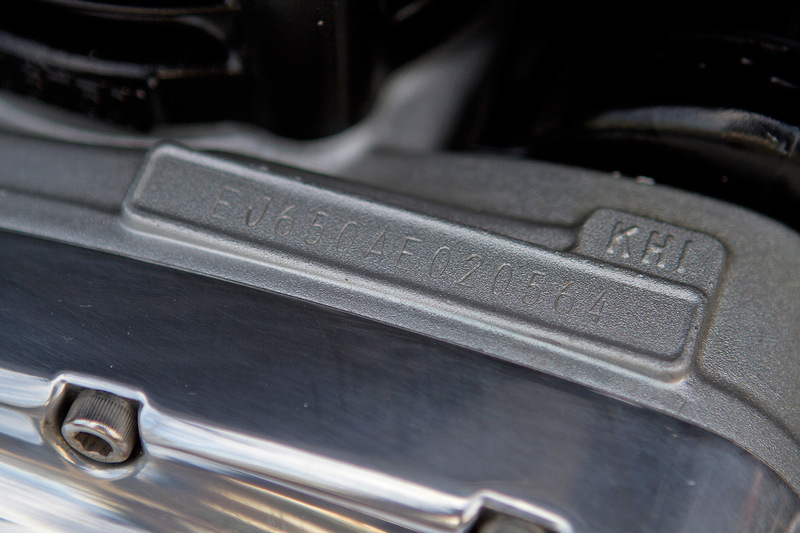 With the airbox gone the W now breathes through K&N filters and gasses exit via a custom 2-into-2 system. 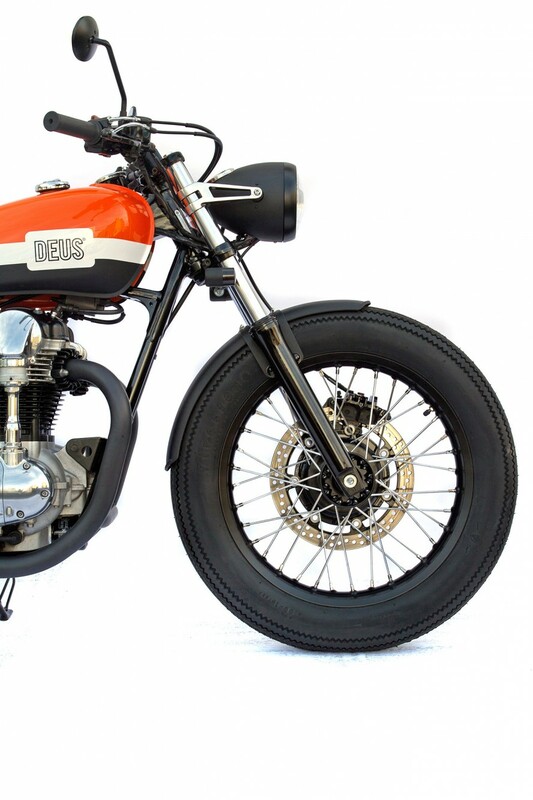 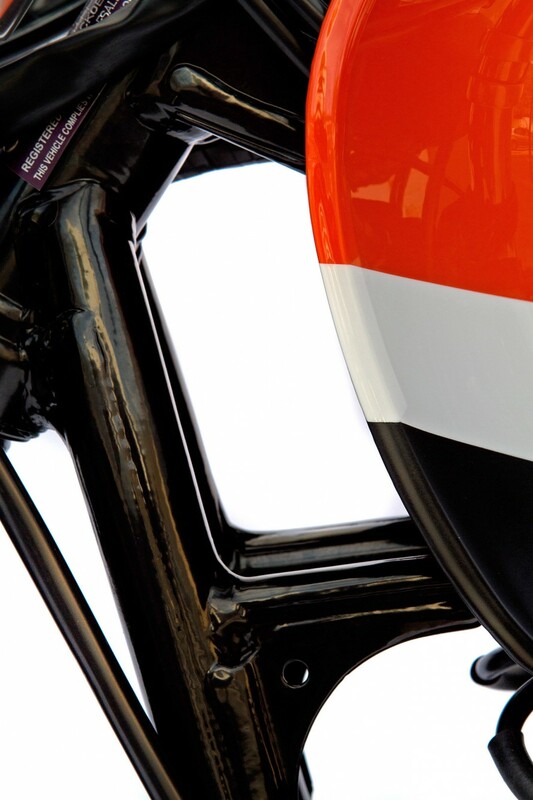 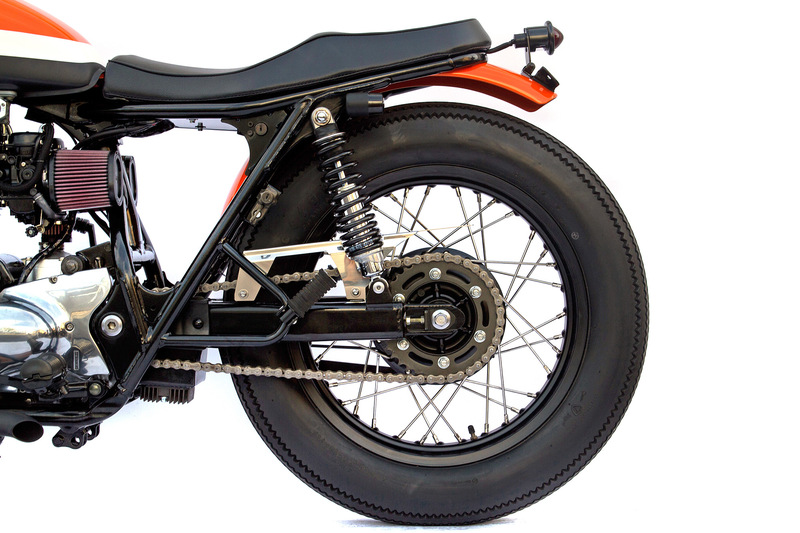 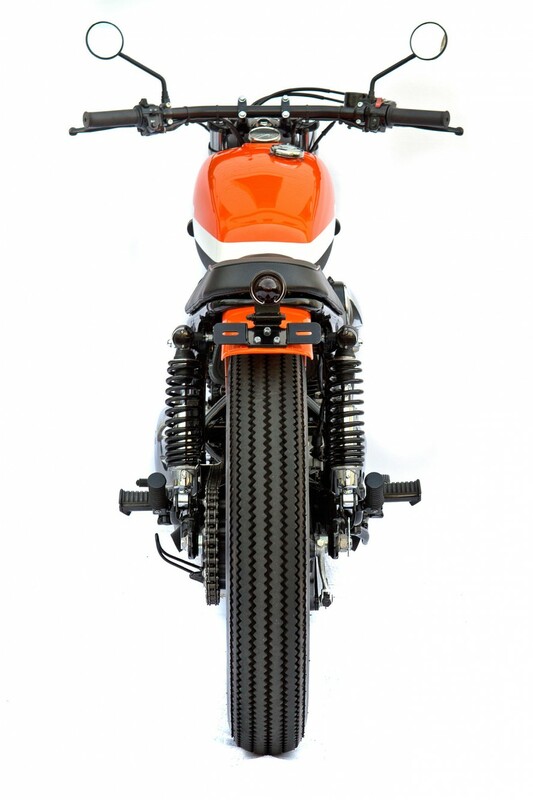 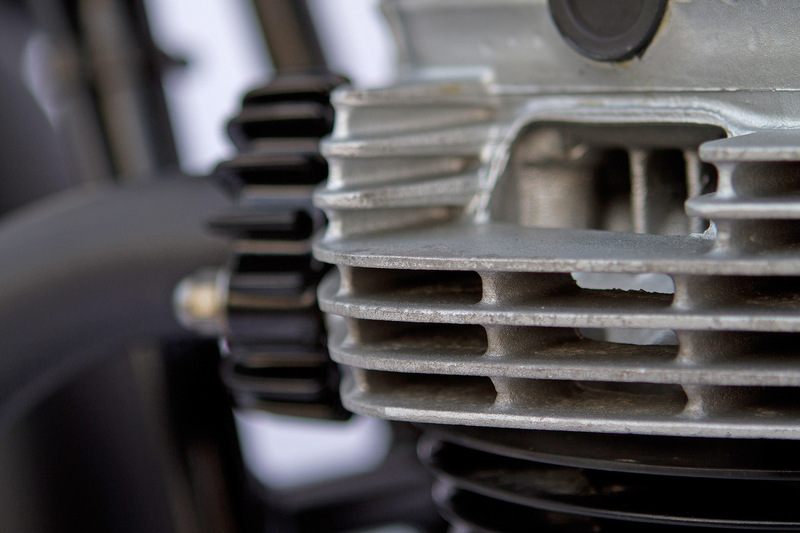 A simple way to achieve an old school feel was to swap fork legs and throw the caliper on the other side. 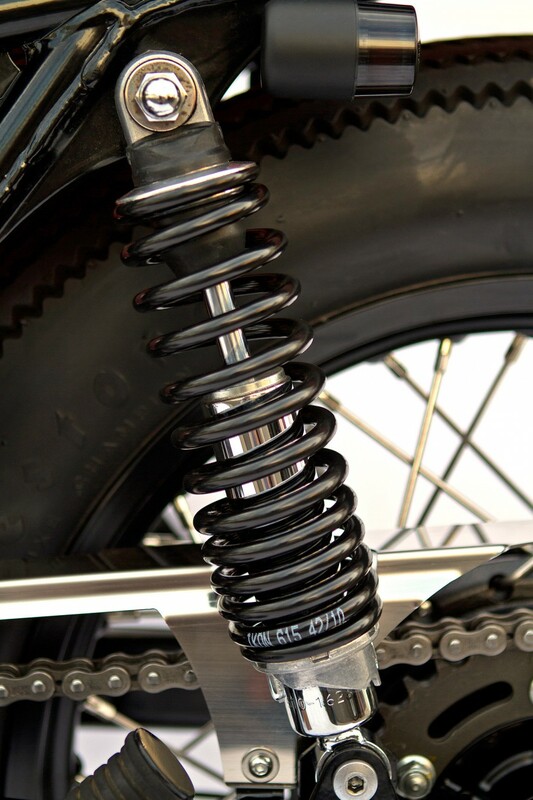 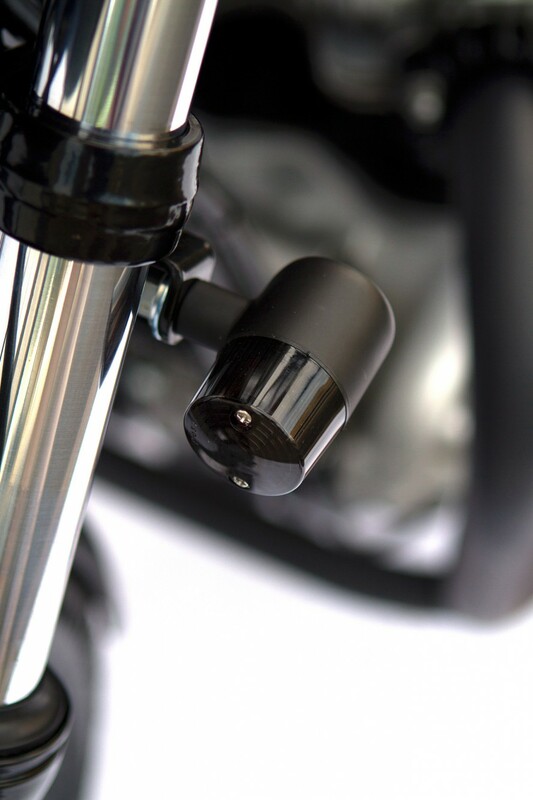 Fork internals have been modified while Ikons are helping at the rear. 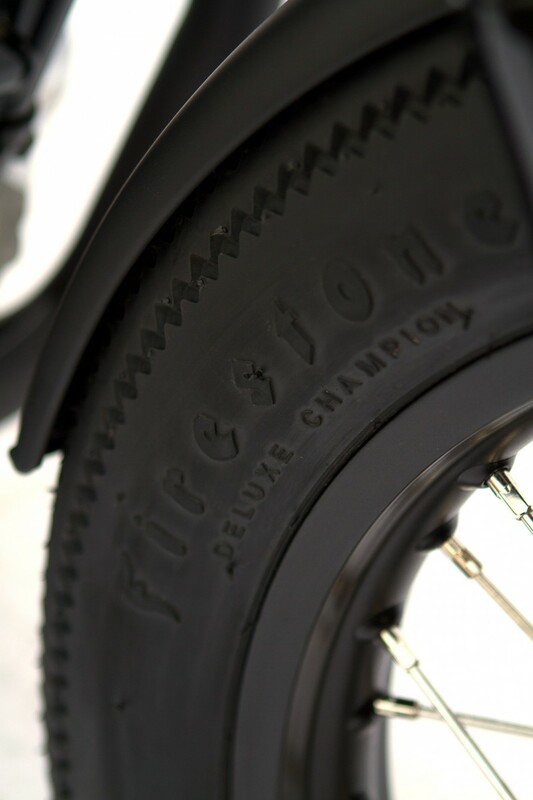 Custom front and rear guards encase a pair of Firestones. 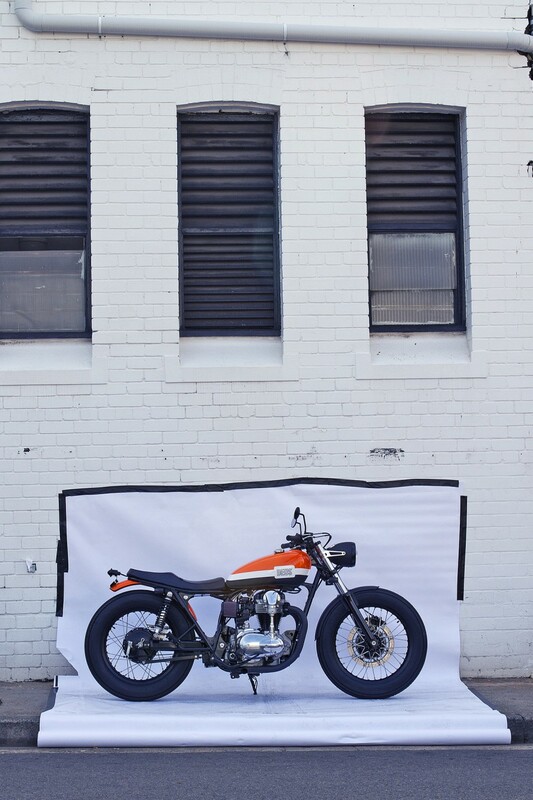 Less is more with Randy’s stripped down W and if you see this bike on a Sydney street, think again before taking on one of the worlds best, W650 or not.